Just like the job title of a “webmaster” no longer exists, we’ve moved beyond providing just web services. Ideally, digital experiences are not one-way presentations, but two-way conversations. They are not static and solid, but dynamic and flexible, able to adapt over time as we learn more about users, such as how they choose to engage and what motivates them to act. They are more than memorable, they are shareable—and if done well, they can instantly propel a traditional institution or idea into a modern, culturally, and contextually relevant space. 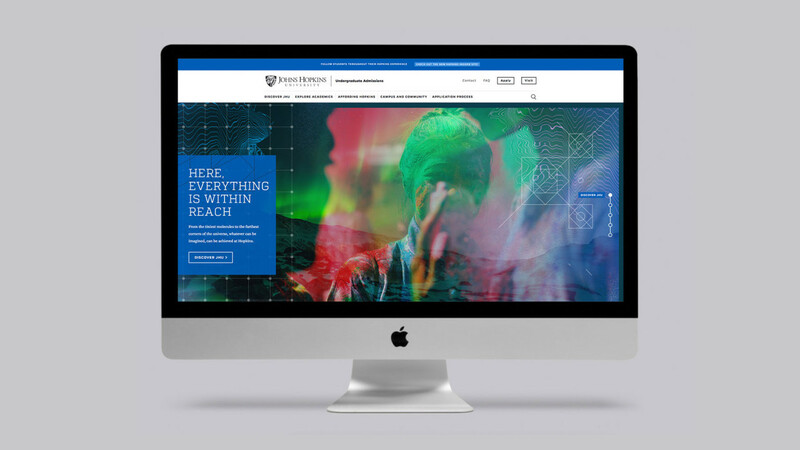 Johns Hopkins University approached 160over90 to reimagine the way they communicate with prospective undergraduate students during the admissions process. We accomplished this through revamped messaging and redesigned website platforms.